Learn from the expert how to get started in a landscaping or garden maintenance/design business. 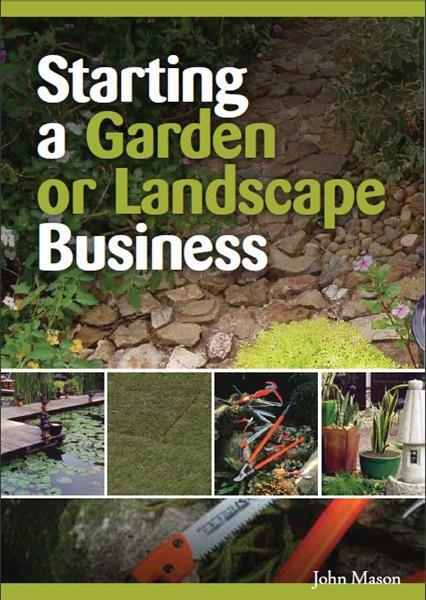 Packed with valuable business advice, horticultural and landscaping knowledge and practical ideas, this book is a must for garden lovers or anyone thinking about or already involved in a horticultural, landscaping or garden business. “As you’d expect from a book written by the founder of a distance learning business, it’s easy to read and puts the information across. The first chapter offers down-to-earth advice points for how to build a successful business. I noted that some map easily to a permaculture approach. ‘Don’t rush it’ for example fits well with the Holmgren principle of ‘Use Small and Slow Solutions’, whilst the final point ‘Take Care of Yourself’ reflects the permaculture ethic of People Care. In the remaining chapters the reader is encouraged to think about how they can describe and offer saleable services, and identify their own specialism. The book is aimed at Australian readers but the majority of the content is applicable to the UK. This isn’t a specifically permaculture book and the technical information about planting, cultivation and garden maintenance will not always be suitable for a permaculture designer in many cases. Nor is it a detailed ‘how-to’ maual. It would be great for someone who is reasonably confident about their ability to take on a project, for example building a retaining wall or laying a drain and just needs the reassurance of reading through a bullet-point project plan before starting. There’s also good general advice around starting and developing a business. The final chapter, particularly the notes on costing, would be very helpful for business planning and getting quotes together for clients. There is an example table that could be used as a starting point for working out what your annual costs for a business are likely to be. Like this book? You might also be interested in ACS's horticulture courses here.